St Christopher’s offer a range of services to help the bereaved but less well-known are bereavement groups which offer individuals a chance to reflect with people going through a similar stage of grief. Some of these are run by St Christopher’s but we are pleased to see that over time some have begun to run themselves. The New Horizons group – which started in 2015 – is a good example. It provides a positive platform for friendship, opportunities to socialise and extend the horizons of those who have lost loved ones. 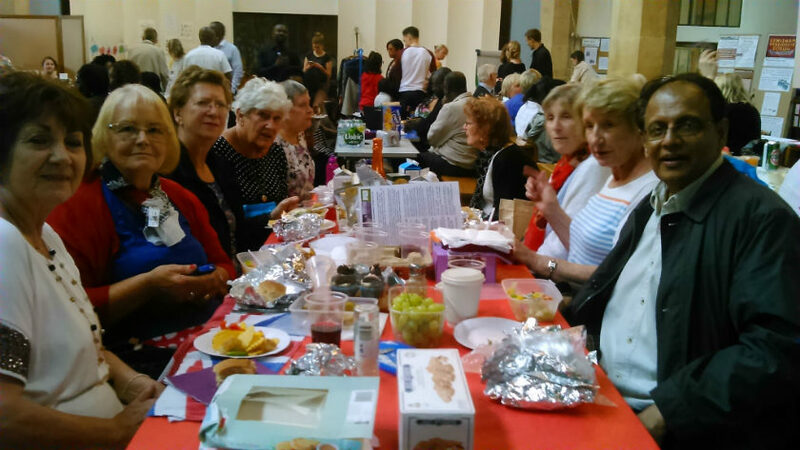 The original members had already attended a Learning from Loss group facilitated by St Christopher’s but as that concluded, they felt the need to meet again. New Horizons is for people who have been counselled or attended bereavement groups at St Christopher’s and who have gone beyond a grief that is raw or complex. People are referred to the group from the Bereavement Team at St Christopher’s – if you know of anyone that might benefit from the service please get in contact with Paul Parsons at p.parsons@stchristophers.org.uk.